Thalia Hotel is a luxury family hotel in Pefkos, Lindos, Pefki (Rhodes), Greece, which is located 3.9km from the Lindos Beach. The proximity of the hotel to the Lindos Village makes it an ideal spot for vacationers looking for a sunny holiday on a beach and to indulge in the country life of Greece. The hotel has 59 spacious rooms, which were recently renovated, spread over two buildings in the premises which have a modern décor. The guests can also have a great time on the private beach and indulge in sunbathing. The property also houses outdoor swimming pool, spa, gardens, gym and entertainment centres, ensuring a fun, pleasant and a relaxing holiday. The hotel also has play area for children, making it an ideal family hotel. Thalia Hotel is 56.1km away from the Diagoras Airport. The closest beach to the hotel is just 500m away. The Village of Lindos is 3.5km away from the hotel. Lindos beach is 5.7 km away from the hotel. Lepia Dive Centre is 900m away from the property. The St. Pauls Bay is 4.8km away from the hotel. Acropolis of Lindos and the Church of Pangia are 5.6km away from the hotel. The Grapevine Cocktail Bar is 4.2km away from the hotel. The hotel can arrange for a car rental for its guests for their local excursions. 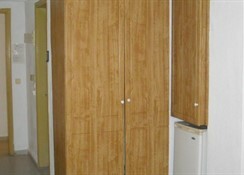 All the rooms are tastefully decorated and equipped with modern amenities to make their guests feel comfortable. There are three types of rooms based on the number of guests. All the rooms come with a garden view and are air conditioned. 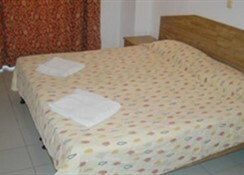 The Guest Room offers two single beds or one double bed. 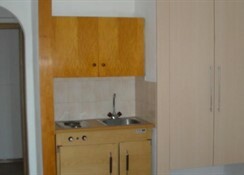 The Single room is equipped with one single bed. The Standard Family Room is equipped with sleeping arrangements for four people. Some of the rooms also have an attached terrace. Thalia Hotel also offers non-smoking rooms. Room are equipped with a minibar, dressing room, climate control, high-speed internet, a personal safe, high chair and satellite TV with a CD player. 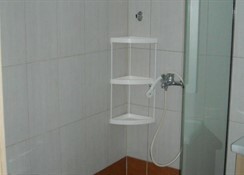 The rooms are also provided with hairdryer, free toiletries and bathrobes. Thalia Hotel houses a restaurant that offers both local and international cuisines. The hotel serves buffet breakfast to its guests. There is also an outdoor dining area that serves dinner. The hotel also has a poolside snack bar and a café. The guests can opt for an all-inclusive package while booking. The popular Kelari restaurant, offering traditional Greek food, is just 100m away from the restaurant. For drinks and cocktails, the guests can visit the Lindos Ice Bar or the Grapevine Cocktail Bar which are just 3-4km away from the hotel. 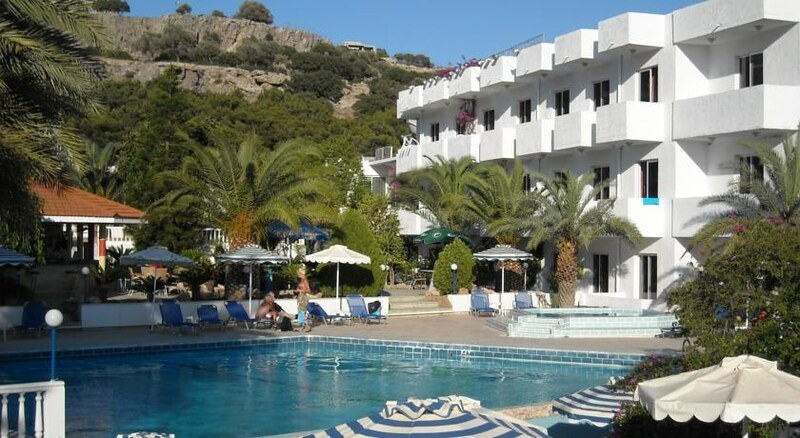 The hotel features an outdoor swimming pool, Jacuzzi, access to a private beach, billiards tables, a game room, kids club, play area for children, among others. Thalia Hotel’s proximity to the beach provides an opportunity to its guest to indulge in water sports. The Lepia Dive Centre is 3.5km away from the hotel and the guests can avail a rental car to get there. The golf course is 35km away from the hotel and the horse riding centre is at a distance of 8km from the hotel. The staff were extremely friendly, the facilities were clean, the pool was great and the free food was tasty. Certain things could have been better but for the price we paid, this was extremely great value! We had a lovely time. Hotel is clean and staff were really nice. The food is all fresh, tasty and hot. There's not a lot of choice but you definitely won't go hungry unless you're a picky eater. We would have no hesitation in booking this hotel again. We enjoyed our stay here. The only thing that annoyed us was one of the Batman’s attitude and the fact he served several of us drinks at 11pm at the pool bar (only bar). Then switched all the lights off and left us in complete darkness. Which was a health and safety issue with the pool being so close. Could be so much better!!!! Hotel and grounds are in dire need for improvement. Broken sun beds, ripped umbrellas, childs play area dreadful, my 3 year old son fell on the padding and grazed his knees, due to the padding being as hard as volcanic rock. Broken play equipment in play area. All inclusive option worthless, poor beer, lunch was a wrapped sandwich or a ice cream. Main meal poor, with limited choice. If you wanted spirits you could only have ouzo. Alcoholic drinks only available from pool bar, which was infested with wasps.